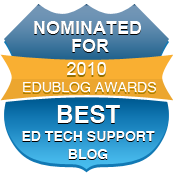 EduHound is an Educational Technology resource site that aims to provide a central hub for all resources related to Educational Technology. It appears that several areas of the site are under maintenance right now, such as their "EduHound Site Sets" but you can still search through their categories at the bottom of the page and find resources for topics that you are looking for. Each category is then broken down into subjects to narrow down your search for resources and then provides an outside link to click on. You can also search for free lesson plans for all subjects and grade levels. You can also find some very useful classroom tools and tips to use in the classroom. They also have a huge source of clipart, for those of you that just can't stop inserting them into PowerPoint presentations. 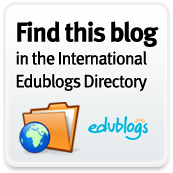 Eduhound also sends out a newsletter that you can subscribe to that provides links to resources and their tools and tips. This is a site well worth exploring for some Educational Technology Resources.